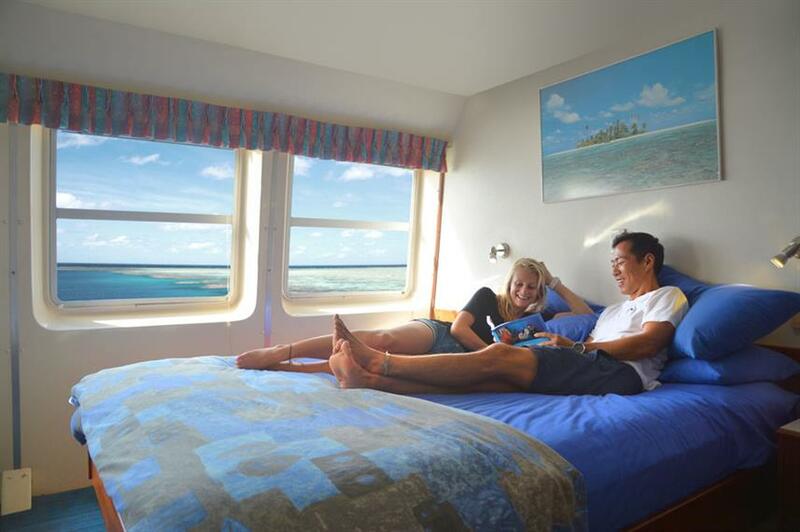 The OceanQuest Liveaboard is a 36m Catamaran offering year-round dive trips to the magnificent Outer Great Barrier Reef in Australia. 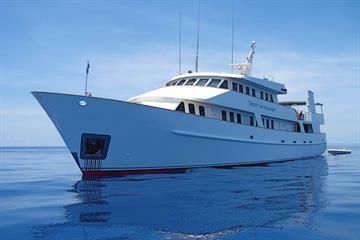 The OceanQuest liveaboard is permanently moored at the Outer Reef and guests are transferred by fast boat from Cairns. This liveaboard offers the ultimate in flexible liveaboard itineraries, with OceanQuest departures available every day of the week. 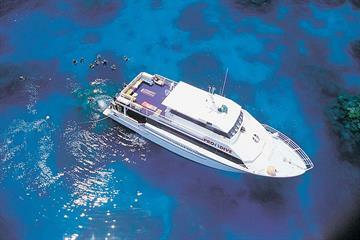 Guests can enjoy a single night stay or multiple nights to experience the best of Great Barrier Reef diving. 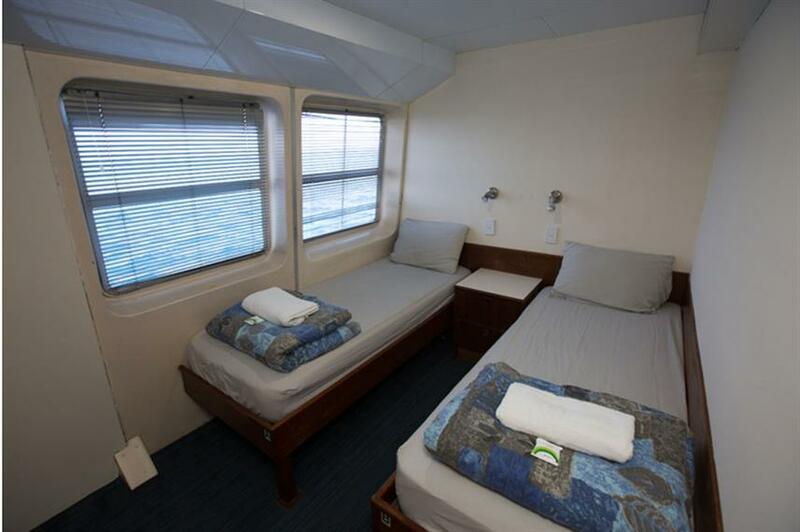 The luxurious OceanQuest liveaboard was refurbished in 2017 and has 22 cabins, each with an en-suite bathroom, air conditioning and a TV. 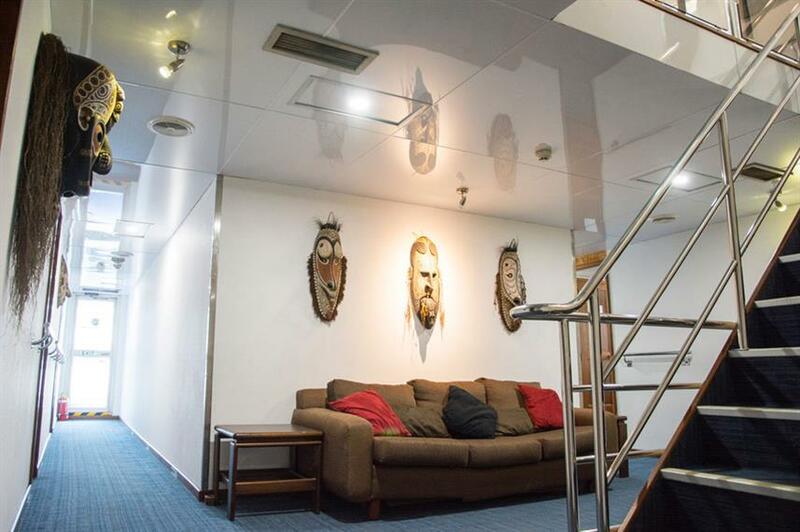 Split over 3 decks, the OceanQuest liveaboard offers plenty of space for relaxing after a full day of diving. There is a large air-conditioned lounge to enjoy, a well-stocked bar area with entertainment system, and spacious dining room. The sun decks are perfect for soaking up the warm Australian sun between dives. 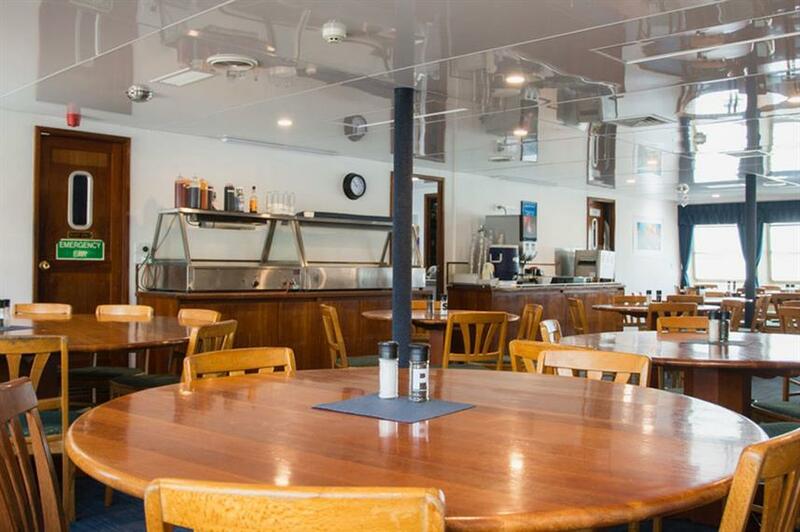 The OceanQuest team provide 3 meals per day, served buffet style in the large dining area. 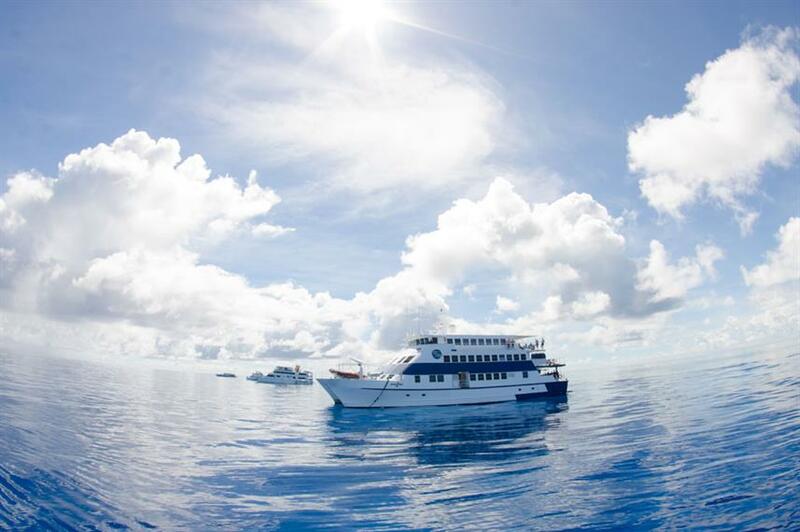 There really is something for everyone with the OceanQuest liveaboard, with options for certified divers, introductory divers and snorkelers. 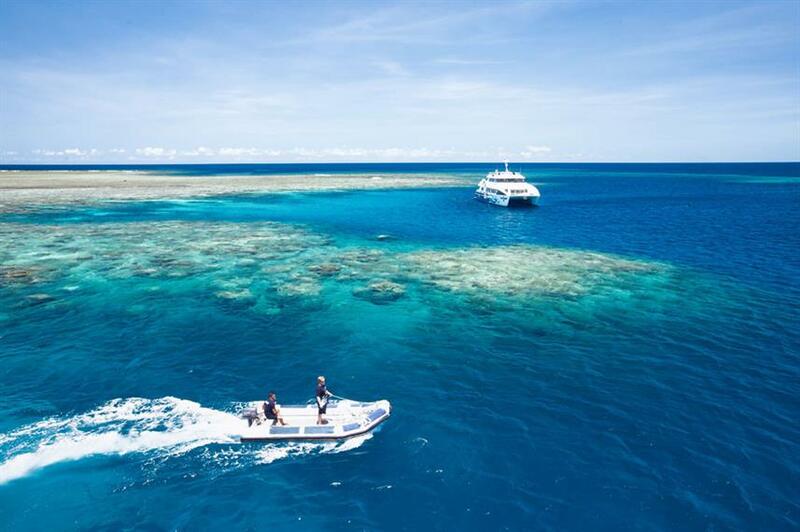 Guests can explore numerous outer Great Barrier Reef dive sites with OceanQuest and enjoy up to five dives a day; 4 day dives and 1 night dive. Non-diving guests are also welcome aboard. OceanQuest liveaboard divers have the option to experience the Great Barrier Reef at night in a whole new way with Fluoro Night Diving. This incredible dive uses specialist torches and mask filters to bring the reef to life in an array of fluorescent colours (extra charge applies). 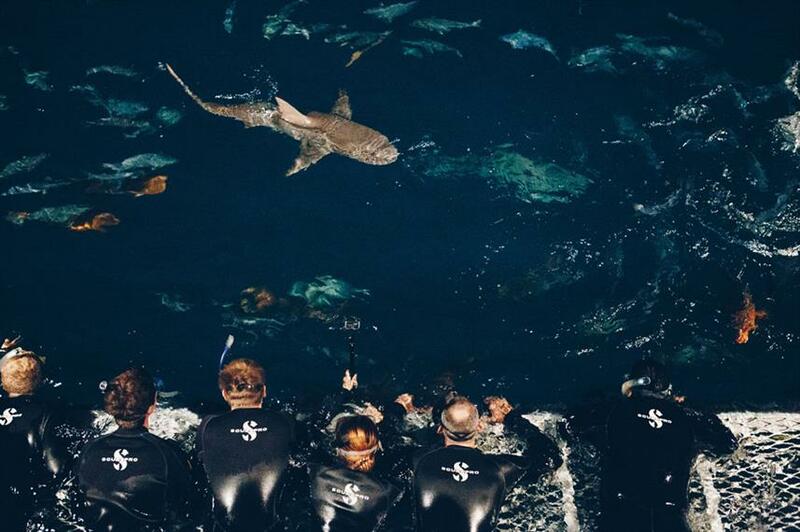 Nightly Shark In The Dark dives offer the chance to jump in and see the Great Barrier Reef sharks at night. Whale fans can even join an OceanQuest liveaboard ‘Meet The Minke’ whale diving safari (available in June and July). 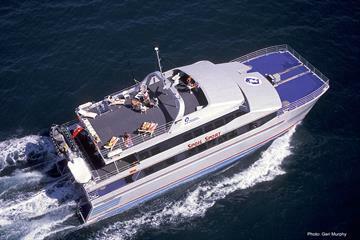 Book your Outer Great Barrier Reef Dive adventure today. Included: VAT, Hotel Transfer, Drinking Water, Tea & Coffee, Full-Board Meal Plan (All meals), Diving Package. Required Extras: National Park Fees (60-80 AUD per trip), Port Fees (20 AUD per day), Visas and Fees. 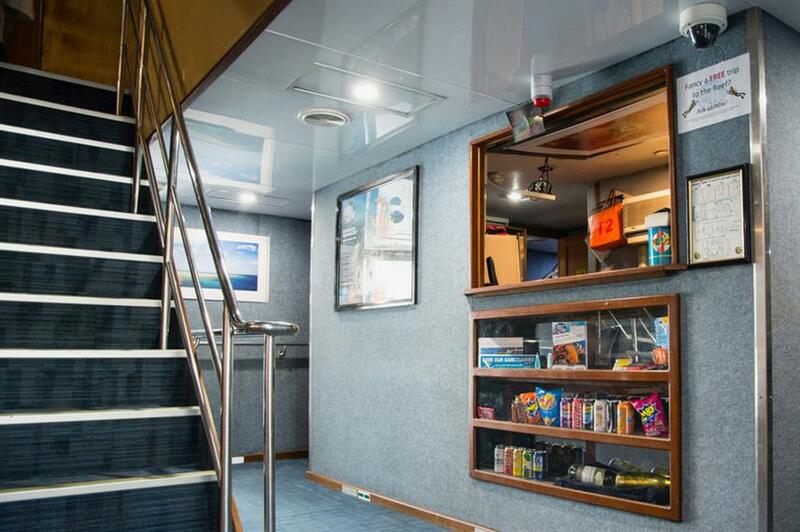 Optional Extras: Gratuities, Airport Transfer, Alcoholic Beverages, Soft drinks, Snacks, Private Dive Guide (15 AUD per activity), Rental Gear, Scuba Diving Courses. The crew speaks English, German, and Japanese. It was my third time on a live aboard at the GBR, but the first for my family and it was great to see them experiencing it. I also have a 5yo son and he got to successfully snorkel for the first time and I was so excited for him. Alice Journo, the crew leader, was exceptional with her enthusiasm and helpfulness. The cook (I forget his name) was super wonderful to my son and let him color with his highlighters. My son drew him a picture as thanks. We had a super great and memorable time. Please recognize Alice and the cook (tall blond guy) as they were stand out crew members to our family. Being matched up with the perfect dive partner. The professionalism in safety first. The crew and especially the captain who made himself part of the experience. Everyone onboard was amazingly friendly and helpful. The accommodations were clean and comfortable (like always, I was a bit too tall for the bed, but normal sized people should be fine). The food was plentiful and delicious. I loved trying new, home-style Aussie foods that you don’t get in restaurants. Most importantly the dive sites were easy to navigate and full of wildlife. Although I didn’t see any turtles (main goal of my trip) I saw pretty much everything else. That just means I’ll have to return, and maybe get an advanced certification! Having a blast on the reef! The friendliness and professionalism of the crew truly brought the liveaboard experience into the 5-star category. The diving opportunities were amazing, both in the quantity of the dives offered and the variety of dive locations visited. The accommodations in the guest quarters were clean and well maintained, and offered needed comfort after a long day of diving. Not only were the crew friendly, but the other passengers were also quite engaging and contributed to making the experience an incredible value for the money spent. Wally! Meeting lovely people from all over the world and the wonderful diving experiences! I'm a marine biologist and beginner diver. Getting under the water and seeing the animals I study in their own environment was incredible but being able to share those experiences, the sightings and the knowledge with a group of people interested in the reef and its protection... that was the real gift. I got my Advanced certification on board and feel more confident and safe underwater than I ever have. Thank you to Nat for being a wonderful teacher and guide and to Paolo for enlightening us all with your talks ! Every day was a highlight. Every dive had something different to see. I can’t say how wonderful the crew is!They really love what they do and it shows. Every dive has a briefing and gives you ideas of things to look for. Sharks at dark is something you can’t miss! I can not wait to go back. The night dive was by far my favorite, swimming with a half dozen reef sharks and huge fish was quite an experience. We also saw stingrays, nudibranches, sea turtles, the giant friendly fish the crew calls Wally, and cuddlefish. The crew were wonderful and very accommodating to our needs and skill levels. The other passengers on board were also a highlight— plan to see many of them again on other dive trips! Norman and Saxon Reef are mostly dead. Most of Norman and Saxon Reef are dead and that is where we did all our dives. It is almost all brown. The cabins are poorly maintained, patch in shower, floor closet door knobs loose, mold in closet. Staff were excellent!!! Eat, sleep, dive, repeat. Everything went so smooth. We were treated like kings! After diving, food is served. 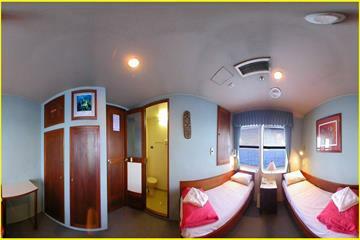 We were really pampered the entire dive trip with good food, good room with nice shower and comfortable beds. Everyone was so friendly. Our dive instructor was amazing and really funny too (Harrison). Had an amazing advance open water course. Good value and nice staff limited dive sites but ok.
Waking up and diving on the reef, sunning on the deck between dives. Meeting folks from other parts of the world and sharing dive stories and knowledge. The trip was very well organised. All the transfers were on time and boat to boat transfers felt safe and reliable. Kit was worn, but serviceable and reliable. Slightly surprised, but very pleased, with being able to buddy up and dive unsupervised and explore sites without being rushed along. My first 6am morning dive watching all the animals wake up and swim around was pretty amazing. Everybody was friendly, helpful, and shared about past and current dives. The people (crew and guests), the wildlife (sharks, turtles, clownfish, etc), Breakfast and lunch. 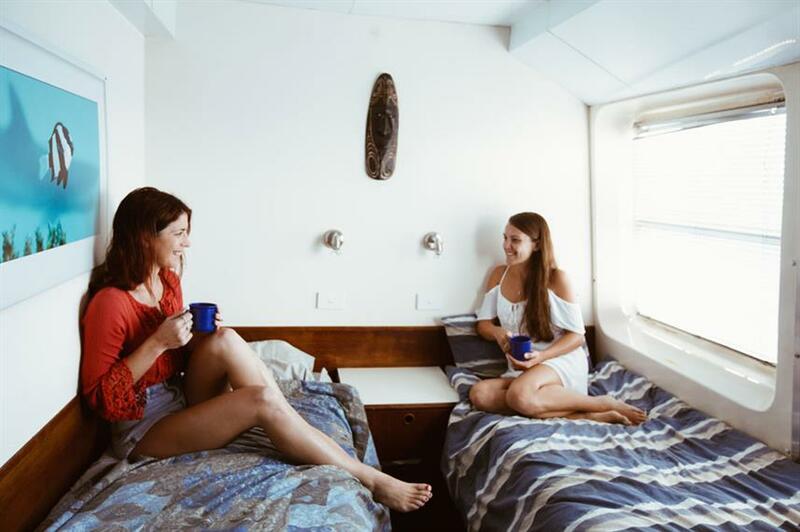 Nothing can better than Liveaboard! Me and my friend stayed 1night and 2days on board of Sea Quest and Ocean Quest. Everything was perfect and especially thanks to Song and Sun for extra support in Korean:) Definitely coming back for Liveaboard! Saw all sorts of amazing ocean life, lobsters, octopuse, sharks and more! Its all about the diving! Professional and friendly crew. Lots of opportunity to dive. Good safety protocols. It was very organized, sometimes even a little bit too much. But overall, I had a good experience. Excellent trip that exceeded my expectations! Well organised operation, made everything very easy. Plenty to see at the dive sites. From the original enquiry right up until we arrived back in cairns after our 2 day/1 night trip was awesome! It was our first liveaboard and first time diving since getting our Open Water certification a year ago so weren’t too sure what to expect and were a bit nervous, the team on the boats were fantastic - especially our guide Charlotte! The dives themselves were great and although it was a bit choppy, our guides made sure that we didn’t miss a thing! The cabins were much more comfortable and spacious than I was expecting and the vibe on board was great. Can’t wait to book our next trip - and will definitely be staying longer next time!! The dives, the staff (on and off the boat) and the great atmosphere! I can't describe enough how good this trip was. Every single thing, from the start to the end, was great. Staff members are simply THE BEST! They were like a family and gave their 1,000% by looking after every single customer. Food was OMG ....VERY YUMMY!!! Diving was of course AMAZING! I will be back!!! 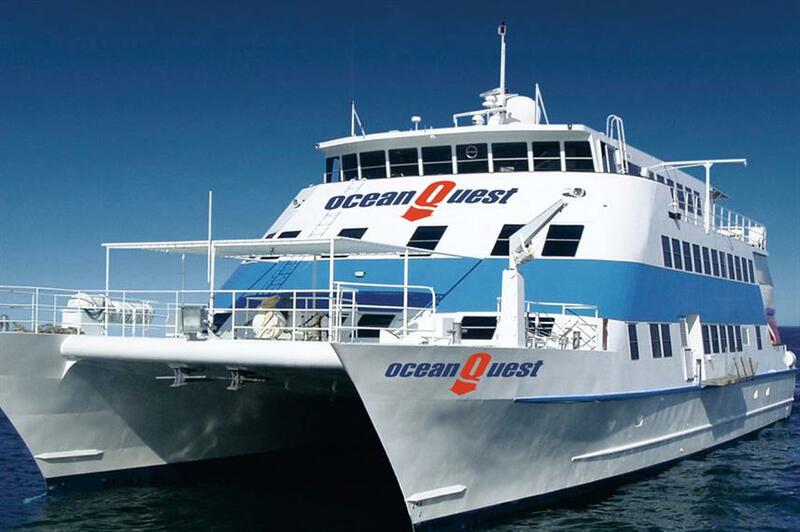 Wonderful time aboard the OceanQuest! Awesome couple of days that exceeded expectations, will definitely come again! The diving, seeing such a wide variety of sea life and coral. The diving was incredible, I loved the freedom we had being able to just dive with buddies but option to have a guide when required. The staff were incredibly warm, entertaining and approachable. night diving was very exciting! giant trevally run everywhere and i looked at the blinking eyes of white tip sharks and turtles. Nick and Jonathan took me on a great night dive. Turtles, sharks, colorful coral, and a crew that cares. Everything is well organized. Food was good, and the company was great. I would highly recommend this dive! An extremely well run dive operation. Ollie and his staff from Deep divers Den Cairns were very friendly and approachable which was only second to their professionalism. Both my son and I are qualified PADI Instructors so we do comment with some degree of knowledge in this area. My enire family had a very enjoyable time on board and I would recommend Divers Den Cairns to anybody considering this type of package or diving instruction. I observed (pinching Ideas) several Instructor delivering training during our trip and this was to a high standard. I personally enjoyed the morning dives the most. Guides were worth their time and the additional 15 to have someone who knows where everything is on the reef. I don't know anyone on the boat that did EVERY dive they offered for the time, but everyone still felt like they got their money's worth. If you want a chance to see the reef on a budget, lodging and food included, this is a great way to do it! Being on the Great Barrier Reef! The crew was friendly and helpful, food was good. The highlight of our trip was seeing sea life that we had not been able to see before on our snorkel trips in Hawaii and the Caribbean. Everything was working perfectly; all instructions were clear and timetable was kept to the minute - very assuring for a not-so-experienced diver. Food was good and there was enough of it;-) The great barrier reef itself of course was the highlight! Had the BEST time on the Ocean Quest!! The crew! 50 dives in 11 days! Best crew ever! 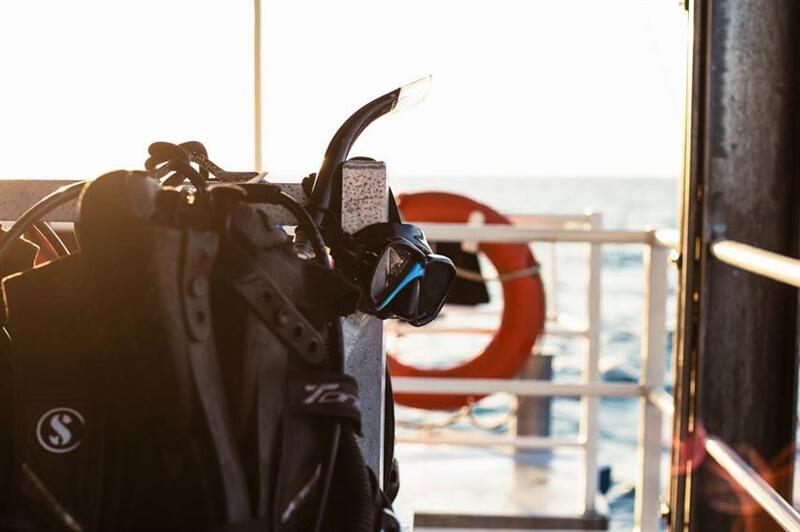 Dives, Equipment, Crew, Service and Location. All second to none! A once in a lifetime opportunity to see the fantastic array of wildlife available from White Tip reef sharks all the way to Clown fish and Turtles. Fantastic. Variety of dive locations. Excellent equipment. Friendly And helpful Crew. 6am dawn dives Fluoro night dive Friendly and nice crew Will, Beltran, Ollie were awesome! Every staff member remembered my name which made me feel special. The equipment was great, the staff were helpful informative and kind. The meals were truly tasty and healthy. I appreciated that. 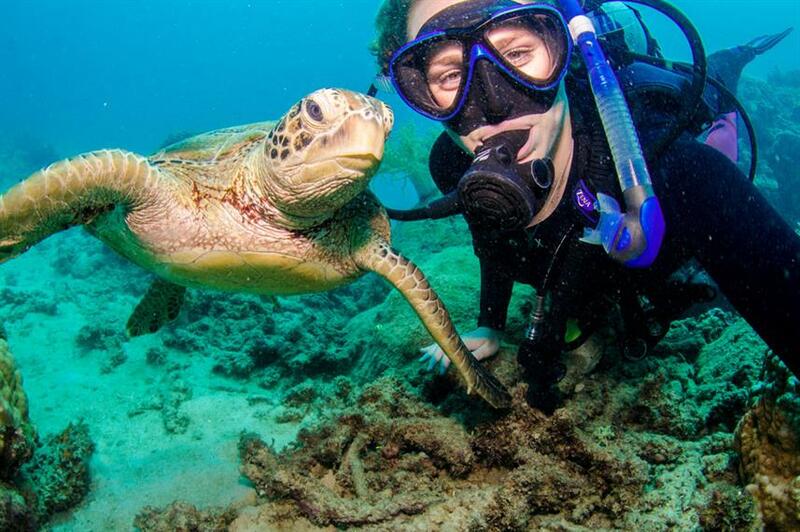 Diving with the sharks and a very close encounter with a Turtle who enjoyed being hand fed. The highlights of the trip were diving on multiple sites of the Great Barrier Reef, sleeping at sea, swimming with the sharks at night, jumping into a swarm of jelly fish, and meeting so many other people from so many different parts of the world. It was a great trip. We very much enjoyed the trip! The crew was great, very friendly and seemed to really enjoy working on the oceanquest. The accommodations and food were also surprisingly good. We went in late January and the water visibility was not its best, but diving was still great and we saw a lot. Would recommend the trip, we plan to do more liveaboards after our first great experience!! Ability to do self guided dives, meeting new friends on board, the crew! The helpful staff/Crew of the boat and the experience of the sites where we were diving . So good! Sky high recommendation from here! Everything. 12 dives to choose from, all options to have with a guide which was perfect for us newbies. Rooms were spacious and clean. Food was excellent lots of salad and veg, huge portions. Staff always smiling and were knowledgeable and felt safe in their hands. Fav dives: night and sunrise! Seeing white tip sharks, turtles, huge schools of fish, and much more. The best of all trips! The full combo of professional and friendly staff with the food, the diving and meeting new friends! Just fantastic! The boat, the fantastic team on board, the diving! 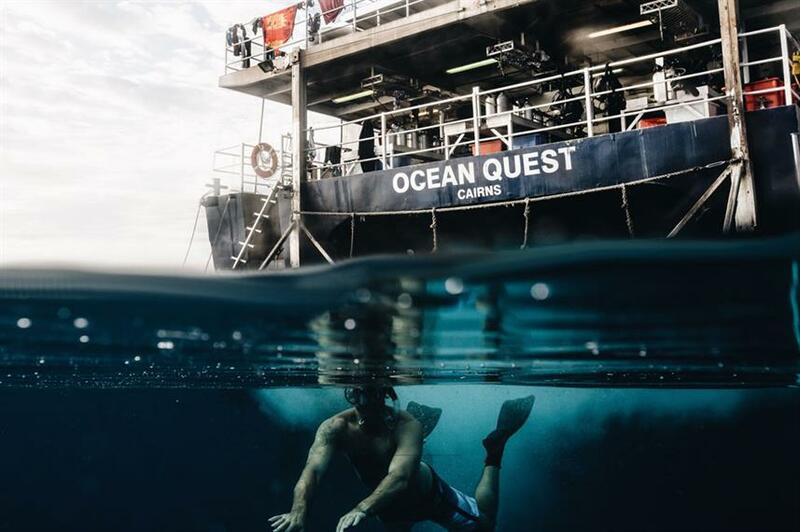 Ocean Quest = The Ocean's Best! The crew's professionalism and friendly demeanor really made this trip special. 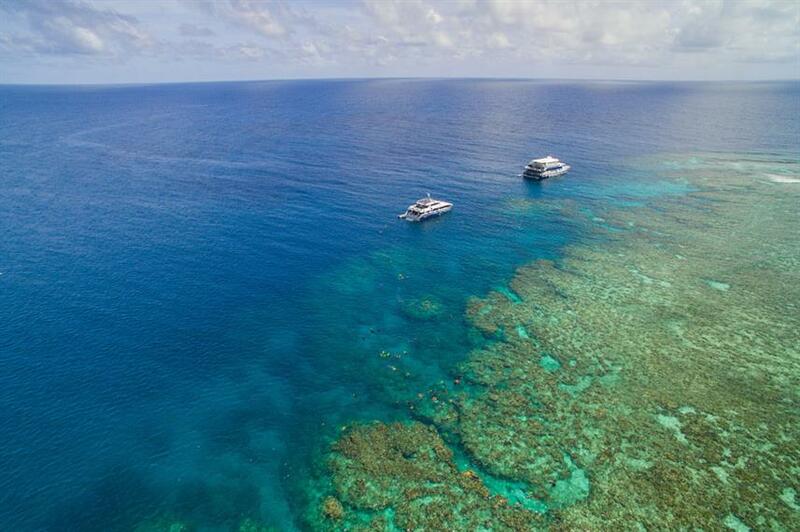 Between their dedication to safety, jovial sense of humor, skilled diving abilities, and all around authentic joy for their work, I felt welcomed to the Great Barrier Reef like a member of the family. Top marks all across the board. Well this was my first trip out to the Great Barrier Reef. So I did not know what to expect. Low and behold I was absolutely blow away by everything! The staff was extremely friendly and helpful. The diving....well what can I say anything but AWESOME! You MUST do the FLORA NIGHT DIVE with the UV lights. 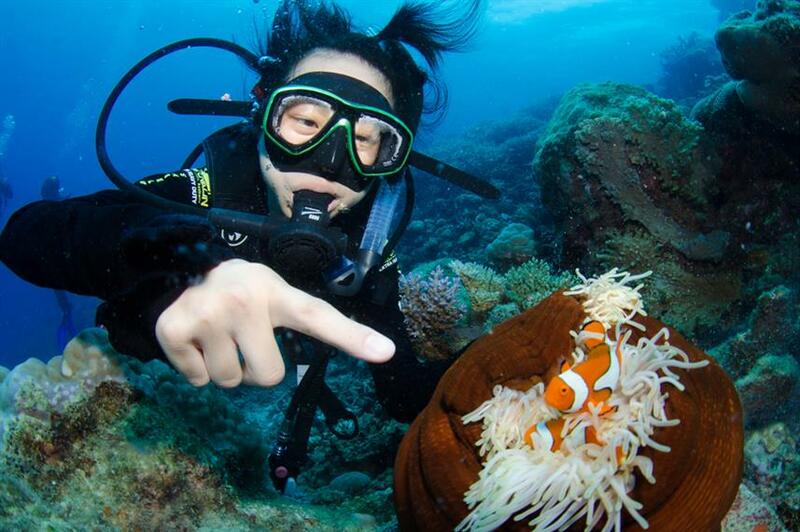 It opens a whole new world of experiencing the Reef. I can't thank the crew enough for a wonderful and memorable Dive Trip. I will be back for sure! The Diving, the Crew, the new people I got to meet. The most professional and friendly staff of Ocean Quest, Deep Sea Divers Den: Andrés Cózar Piña, Mike, Cedric and Tom. Love these guys. It's ok for the price one pays. This was a Dwarf Minke Whale diving trip, so that was easily the best part of the whole adventure. We had multiple days with the whales and were expertly guided to some of the best dive spots in the area. Dive deck, crew and locations. Very international crew and guest. This was our first experience with self-guided diving and it was something that I was very nervous about when we arrived. The staff did such a good job of explaining the dives and the directions that I loved every dive. My favorite was the Lion Fish Bommie. But then again, I loved them all. The quantity, quality and variety of the dives. I loved living on the boat and just eating, sleeping, diving. The crew were fantastic and I did my Openwater Advanced qualification having not planned to because the instructors were so good. The night dives were a real highlight, the best being the fluro dive I did on the last night. 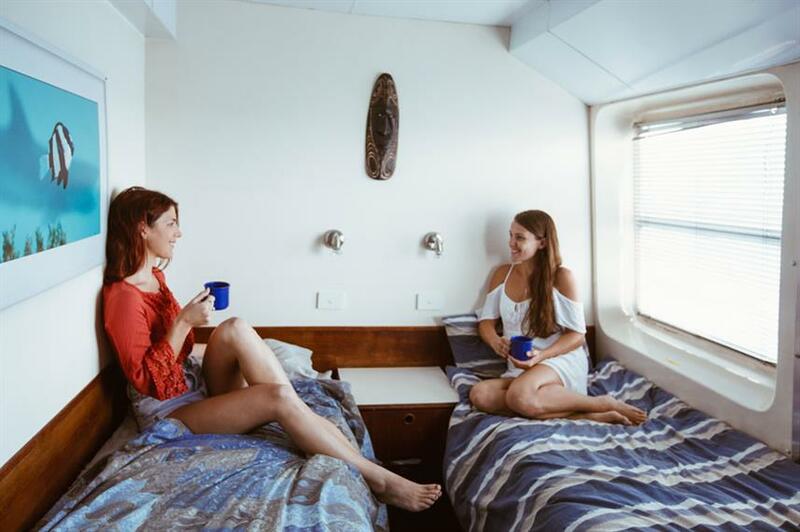 I would highly recommend a liveaboard on Ocean Quest. 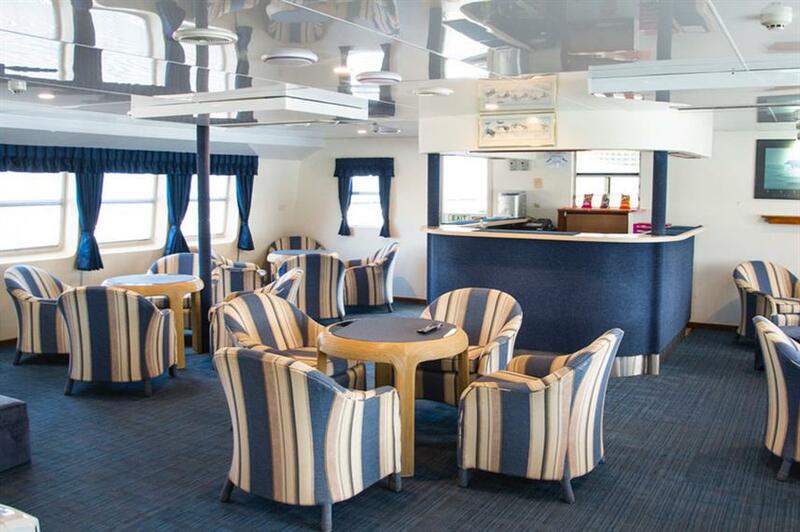 Relaxed atmosphere, great dive guides, plenty of space. Great experience on Ocean Quest! Great crew, food and scuba guides! Absolutely the best diving I have experienced! Evening socializing with friendly staff. One on one dive guide and conversing about the dive afterwards. Making contacts and connecting with them after returning. Absolutely not to be missed if you want to dive!!! Staff, expert equipment, fun evenings. One of the best experiences from start to finish. I was so sad to leave the boat and go back to land! I was a new diver who only had 6 dives under her belt. The guidance and support from the staff with dive briefings, advice and safety was exceptional and put me at ease from start to finish. By the end of my first day I was comfortable and confident in my diving ability. Every day we had a different dive site so it was really varied and doing up to five dives a day was so great as I loved being in the water for as much as possible. I would recommend to anyone. It was an unbelievable and unbeatable few days and my only regret is that we didn't stay for more days! Thanks for an amazing trip! The staff were wonderful, both friendly/approachable but safe and professions. The boat was so comfortable. The food was quality! Fantastic dive guides and dive sites. Personalised service. They made my daughter a birthday cake for her 21st onboard.Great to spend 3 days on the reef with awesome crew and dive sites. Watching my daughter pass her advanced training, sharks in the dark, close encounters with turtles. Shower in the cabin, well organized gears and schedule, nice people!! Diving, diving, diving. Meeting other travelers, Crew, accomidations. The place as its self. I had an amazing trip. The crew did an amazing job with the dive briefings and helpful information. The food was amazing and the rooms were clean. Pat did a great job with the dive he lead and Paolo did interesting talks in the evening during dessert. The friendliness of the crew, the great diving and amazing views made the trip a great adventure. It was very relaxing and the crew made us feel at home. We loved the dives, new friends we made and amount of time in between dives that allowed to relax and not be too tired to dive. The food and crew made our trip extraordinary. Thank you!!! Friendly crew, great food and awesome diving. 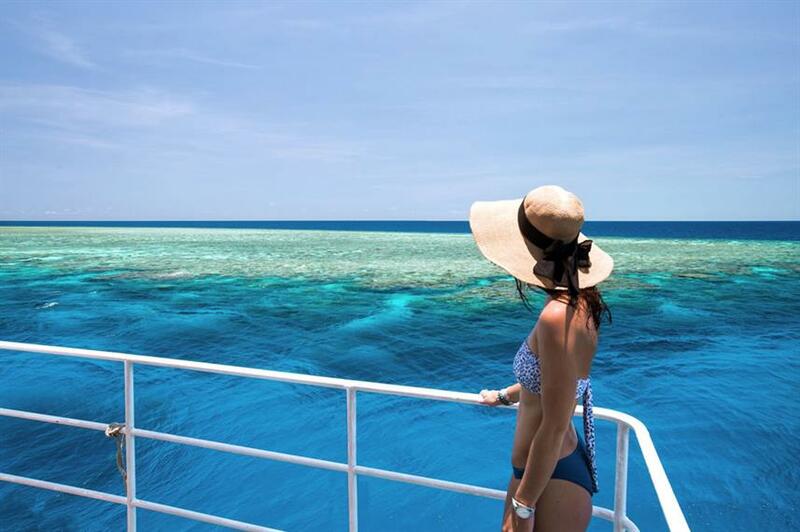 The best way to experience the Great Barrier Reef! New experience and way of feeling! The crew made us feel perfect! Especially the supervisor - Sirio ! I recommend everybody - try it ! 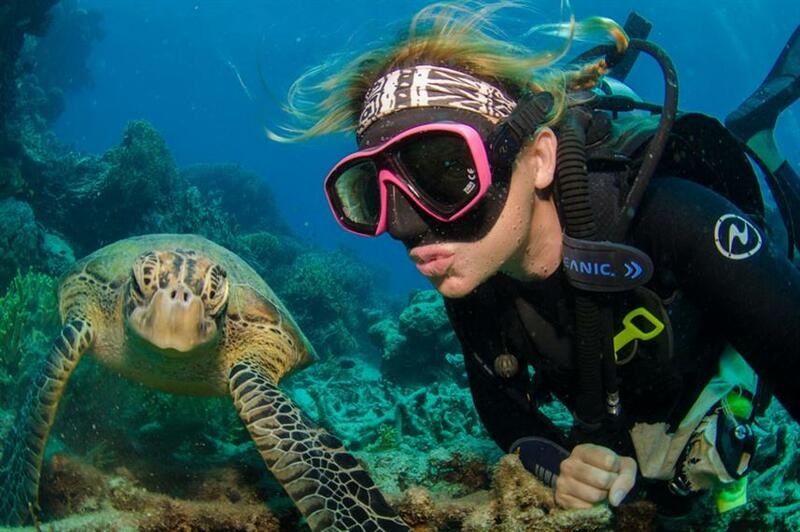 12 beautiful dives on the Great Barrier Reef. Wonderful, friendly, enthusiastic crew. Good food. Good company with fellow divers, fantstic overall. Food, diving comfort, fantastic location! Ocean Quest and her crew were delightful. This was my second trip,wth this live aboard. There is a reason why I went back. They are awesome. I will be going back again and taking friends. I managed in just one of the 10 dives available to me over 3 days, got to see all of the things I was looking forward to see including a moray eel, turtles and the all famous Nemo. Value for money. Great staff and so awesome. Not having to bring any of my gear was a huge plus. The cabins were very comfortable thanks to the aircon. I loved being able to go to my room and rinse off after each dive. The food was good, just temper your expectations to buffet level quality and you'll be happy. The night diving was a completely different and amazing experience. seeing a turtle and swimming around the reef. efficiency and friendliness of staff, Luke especially; the number of dives we were able to make in only 24 hours. Some amazing diving. Friendly staff (on the most part) and great value for money. Our 12 year old daughter swam with a manta ray, sea turtles came to make friends with our 15 year old daughter. They saw sting rays, devil rays and were given so much support and encouragement by all the crew. Most amazing experience was during night dive. Our 12 year old was on the deck as it lowered into the water for fish feeding ( snorkelled). As it lowered, tiny fish swarmed over her and a reef shark was swept onto the platform by the current. It's position meant it washed onto Imogen's arm, so she was face to face with it!! It was gone again within seconds as the currency pulled it back, but it was a one una lifetime thing for our Immie, who wants to become a marine biologist. Crew were incredible. Food was awesome. Crew, expertise of marine biologists, crew! Lots of dives, very friendly staff, night dive! The diving spots. Feeding the sharks. Night dive was great. Friendliness of the staff. The boat is big and good. Location excellent. Complete diving equipement. The staff learned all our names. The rental equipment didn't fit me (fins), but they worked to get me new fins and even lent me theirs. The food was excellent. Dive, dive and dive again! Very nice diving environment. Good visibility & lots to see. Seeing the Cuttlefish & getting to dive the Great Barrier Reef. One more thing off my bucket list. Saw a Cuttlefish for the 1st time. Calm water & good visibility. A major highlight of the trip was diving at the Great Barrier Reef and seeing a vast assortment of marine life underwater. The night dive was a totally different experience as you see so many species active. GBR is definitely a place to visit, but probably not a top dive site at this point. It was a comfortable boat and safely operated. The food was good and nutritious. I'd recommend this for a short liveaboard experience. The night diving is included, but fluoro costs any extra $50. I think its worth it once if not too many people are going in the group. 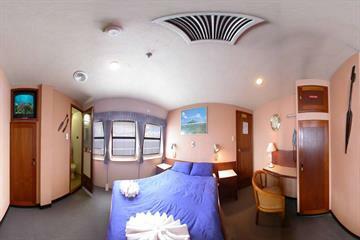 Twin Cabin with En-Suite / same gender cabins are not guaranteed.